New WIFI stand alone wall mounted DMX controller! 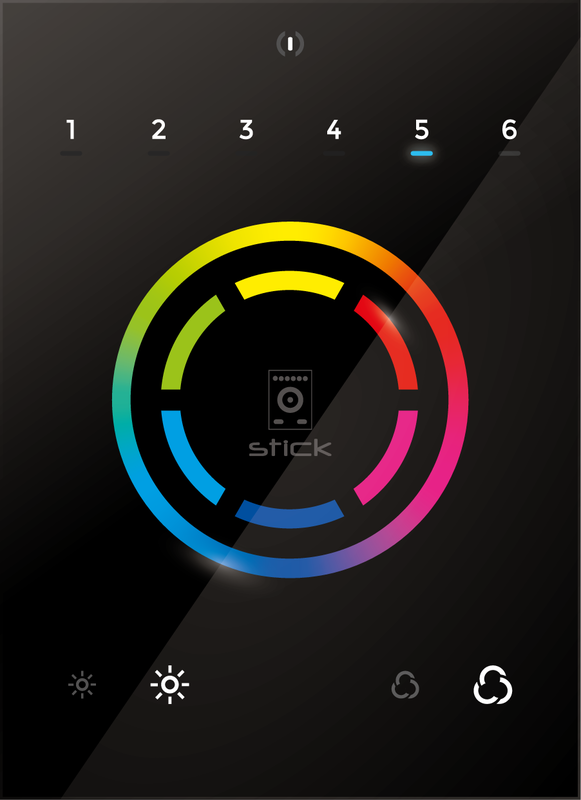 Glass design touch-sensitive panel with 6 pages of 6 scene buttons, color palette and dimmer/saturation control. 2 DMX OUT universes (1024 channels). USB and WIFI connections. Built-in clock for time triggering. PORTS triggering. Works on PC and Mac with ESA2 software only. Delivered with a USB cable. CAUTION: 6V power supply is optional.